The one that started it all goes luxe. 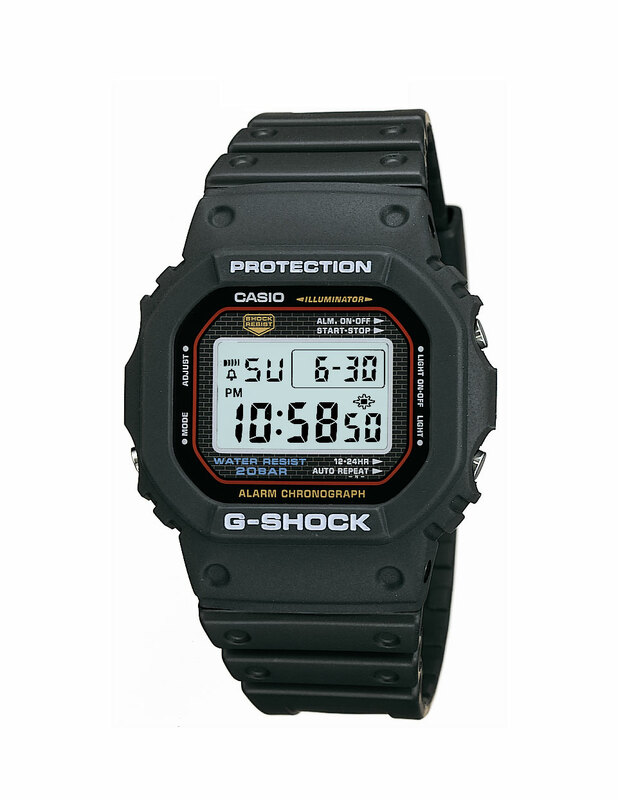 By far the best selling watch in history, having crossed the 100 million unit mark in 2017, the Casio G-Shock made its debut in 1983 as the DW-5000, characterised by its oblong bezel and brick-pattern dial. 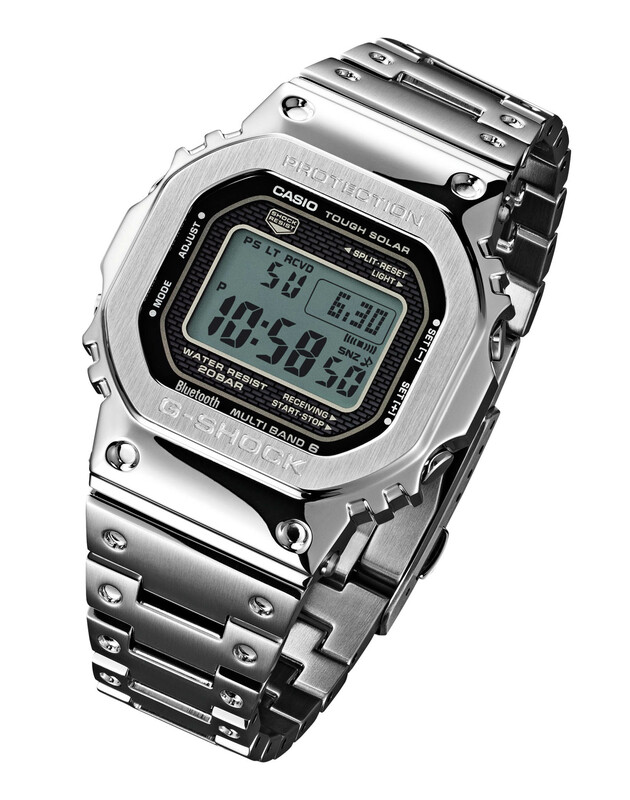 The 5000-series has become a mainstay of the collection, and for its 35th anniversary Casio has rolled out the first all-metal 5000-series G-Shock. It comes in two variants, starting with the GMW-B5000 in stainless steel, which is part of the regular collection. 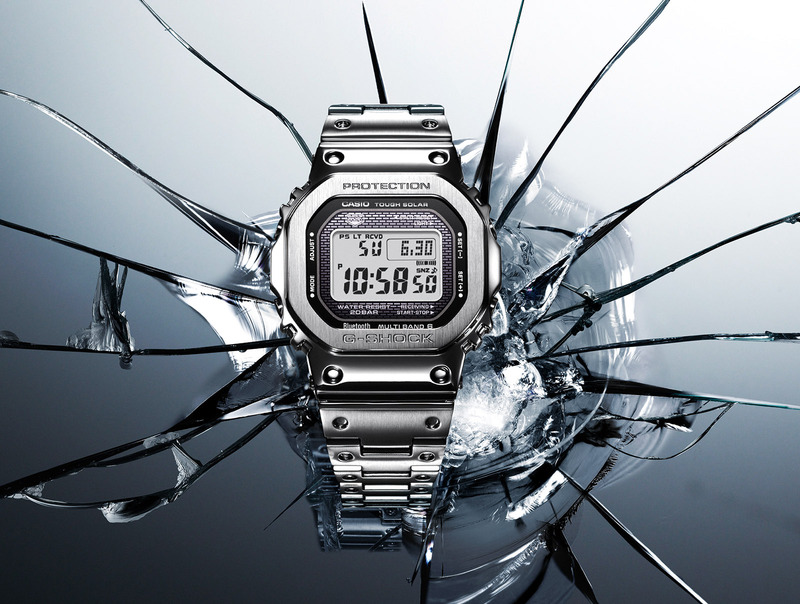 The steel GMW-B5000 is the first G-Shock to be forged entirely from stainless steel. It measures just a tad bigger than its rubber-coated cousins at 49.3mm by 43.2 by 13.0mm and weighs approximately 167 grams. 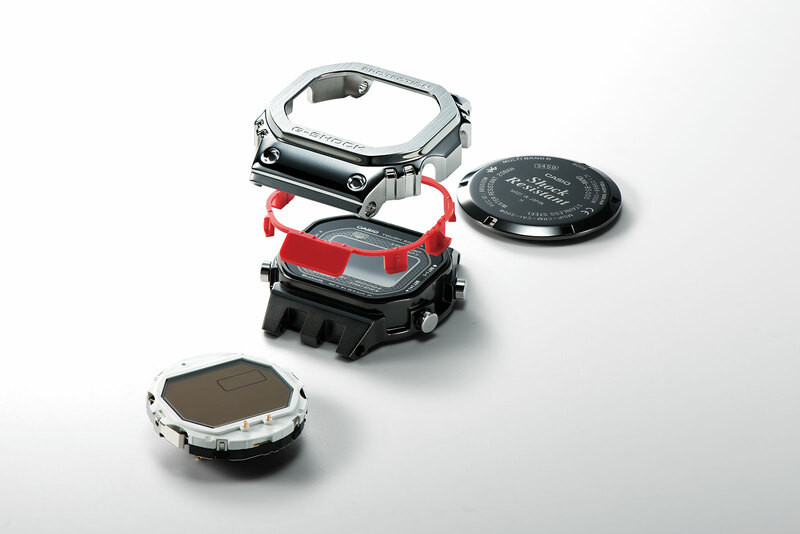 Despite the change of material the watch still retains its signature shock resistance, with a double-case construction that relies on a resin insert (in red) between the inner case and steel bezel to absorb shock. And the case is naturally water-resistance to 200m. 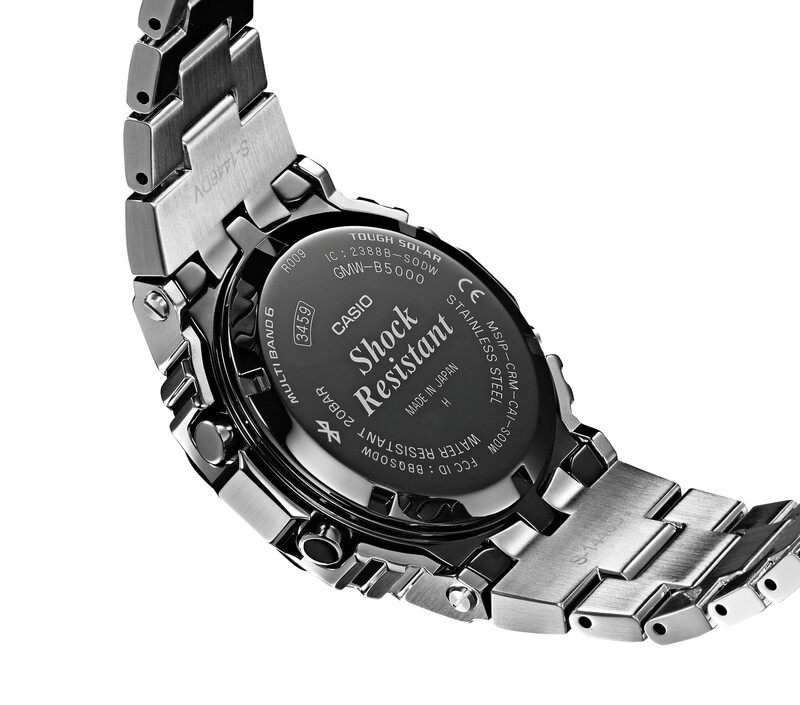 It has the standard functions of a G-Shock including world time (in 39 cities), 1/100th of a second chronograph and countdown timer, calendar, four daily alarms, Bluetooth connectivity as well as the Tough Solar function that uses solar cells on the face of the watch that allow it to run for 22 months on full charge. When paired with the dedicated G-Shock Connected smartphone app, the local time is set automatically, and the user can also adjust world time displays and alarms. There’s also feature to locate a paired smartphone within a distance of two metres. Intended to help locate lost phone, a pusher in the case activates an acoustic signal on smartphone, even when it is on silent mode. And then there is the Anniversary Limited G-Shock in gold IP (short for “ion-plating”). A gold-plated, stainless-steel version offers almost the same amount of shock value as the 18k gold G-Shock, but at a reconcilable heft and price tag. The special edition GMW- B5000TFG-9 comes with exactly the same features and technology of the steel model, with the addition of an anniversary emblem on its case back. Only limited numbers will be produced, though the total production run has not been revealed. 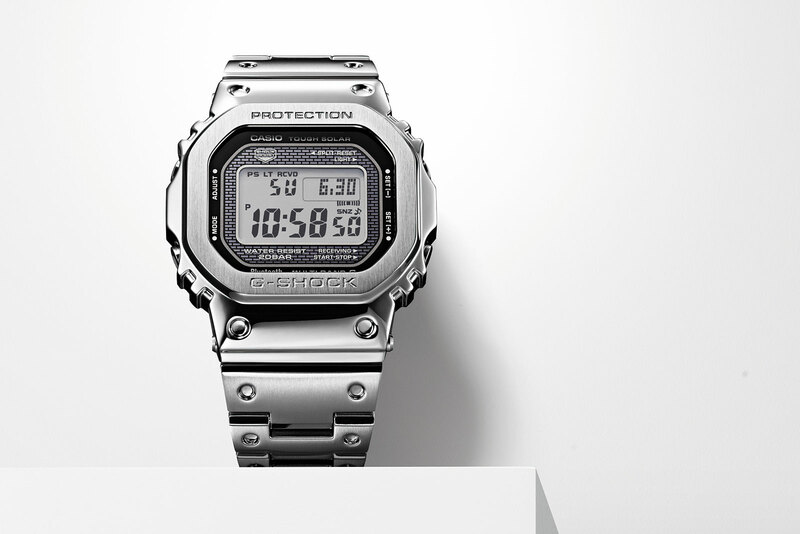 The all-steel G-Shock (ref. 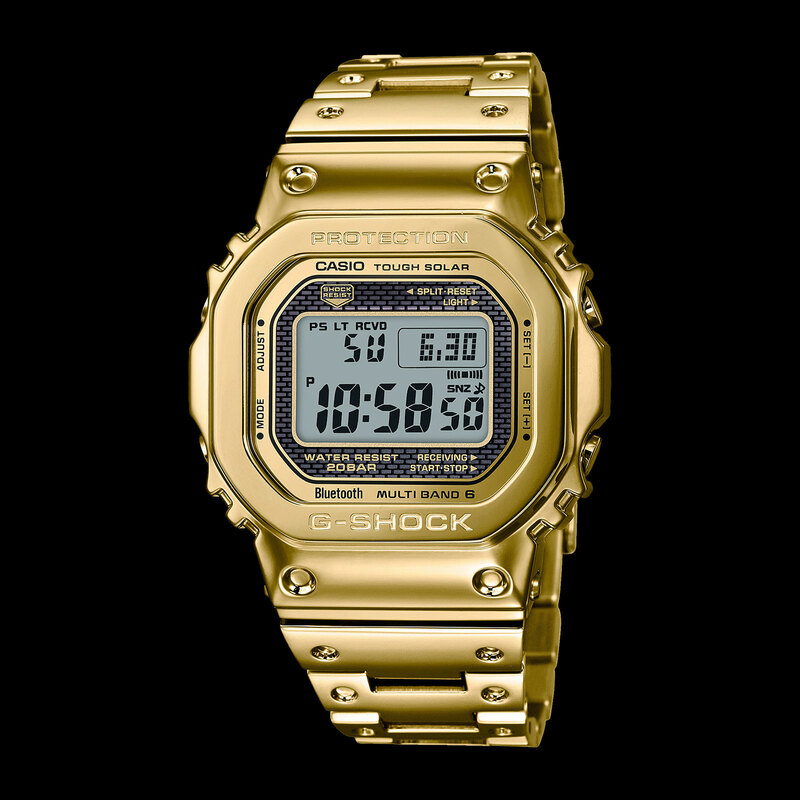 GMW-B5000) is US$500 or S$799, while the Anniversary Limited Edition in gold IP (ref. GMW-B5000TFG-9) is US$600 or S$949. They will be available starting April 2018.